Turkey has much to offer, except in the area of safety and security. Expats should know that the country has been a target of terrorism and political rebellion. Most recently, the country took a hit in July 2016 with suicide bombings at the airport and a violent attempt by the military to overthrow the government. Populated since the Palaeolithic age, the country has been inhabited by some civilisations such as the Persians and Greeks. The country has a rich culture traced with Ottoman and Greco-Roman influences. Expats who are interested in working in such an exotic environment will find plenty of reasons to move to Turkey. Turkey is the only nation that proudly straddles between two continents - Europe and Asia. One of its cities, Istanbul stands with one foot in Europe and the other in Oriental Asia. Turkey is a Eurasian country, bordered by eight countries – Bulgaria, Greece, Georgia, Armenia, Azerbaijan, Iran, Iraq and Syria. As a result, Turkey is a massive blend of cultural diversity, with a wide range of nationalities living in the area. Ankara is. 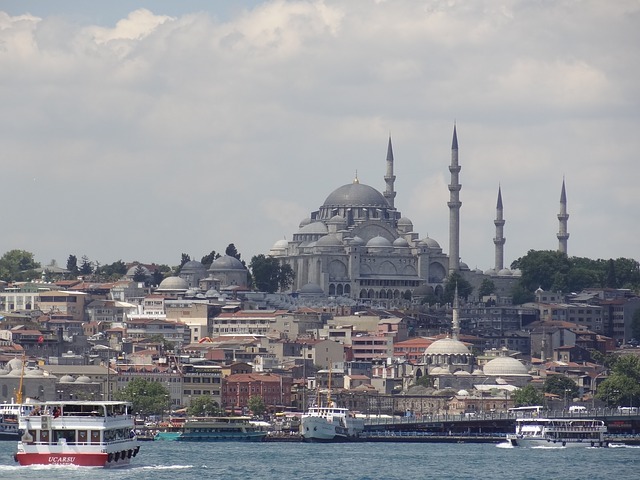 Istanbul, with a population of 12,697,164, is simply Turkey’s largest city. 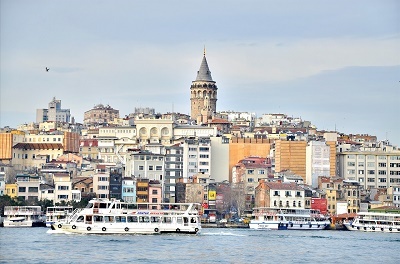 Most expats live and work in bustling Istanbul, leading to the common misconception in the community. Yes, this is despite the fact that 99% of the Turkish population are Muslims. Islam was the country’s religion but the provision was removed after constitution reforms between 1924-1937. At present, Turkey is a secular, democratic state. Other practised religions are predominantly Christianity and Judaism. Bazaars are everywhere in Turkey but do a search online and you will see two names keep popping up: Spice Market and Grand Bazaar in Istanbul. There are many reasons why people go there – fascination with their history, the size and variety they offer, and of course, plenty of excellent souvenirs and Turkish delights. But, let’s face it, they are for tourists. If you are an expat living in Turkey, you will probably want to go somewhere convenient where you can get your groceries and daily essentials. Below are some inside gems that locals frequent. Just remember they tend to open for business at dawn and close for the day in the early evenings. And, always bargain. Consider your options carefully as it may be more expensive to ship overseas than to buy household goods in Turkey. Every town in Turkey has shops that offer reasonably priced furniture or household goods. Expats relocating to Turkey are restricted in importing machines or any telecommunications/satellite equipment. A banderole fee will be collected by customs when importing television (monochrome or coloured), radio, video, television satellite receivers, and all kinds of devices for broadcasting signals. Check the latest banderole fees as they are subject to change annually. Remember that electrical goods will be dutiable if it is deemed too many for personal use, and if kept in original packaging. Only two pieces of the same type of electronic good can be imported. Overseas shipping and removals to Turkey must arrive within six months of arrival or from the date the passport has been stamped for entry. Expats with a resident permit of minimum one year can import used household goods and personal effects with the condition that the items will be for personal use and owned for at least six months. It will be brought through a system called "temporary import", where a deposit fee is charged at the customs. It will be refunded upon exit from the country. If you are bringing your pet, make sure you read about the time frame for certifications and vaccinations. Turkey is a conservative country. While homosexuality is not illegal, it is often frowned upon by the society. Female expats should try to wear modest clothing, especially in mosques. Muslims are encouraged to stick to their traditional dress code. However, veils and theo-political outfits are forbidden by law. During Ramadan, the selling and consumption of alcohol are discontinued. Expats should be sensitive towards local Muslims who are fasting. The Turks are incredibly friendly, though they can come across as invasive sometimes. It is not wrong to have a healthy dose of vigilance initially as small crimes such as scams and pickpocketing are rampant. In the event of emergencies, here are the numbers to call. Pick up some handy Turkish phrases and you will settle in just fine. Don’t forget to let your hair down and enjoy the Mediterranean delicacies while you are there!